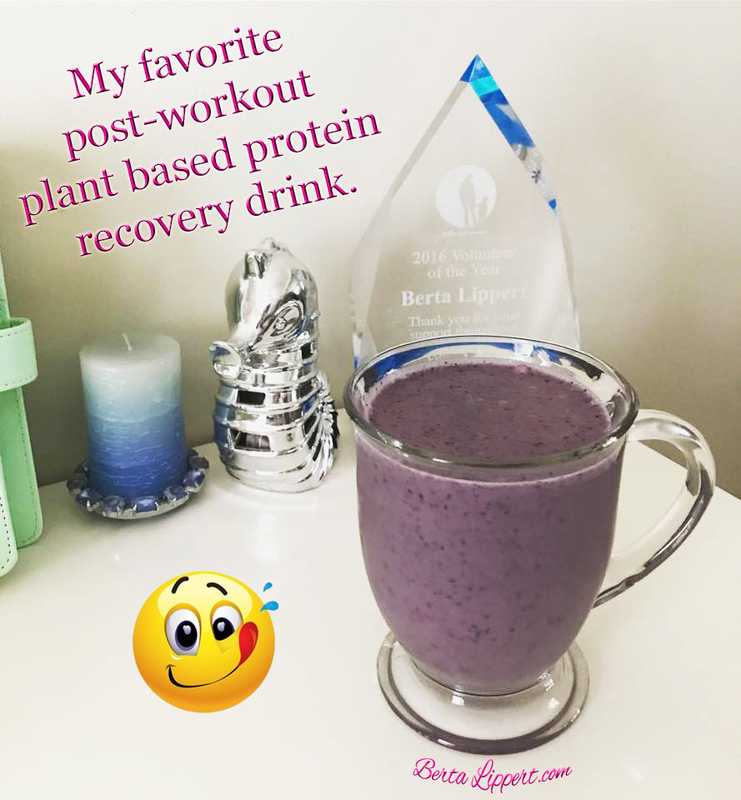 Here’s my favorite post-workout plant based protein recovery drink I’ve been loving lately! It can also serve as a quick and easy on the go breakfast! Simply blend the following 6 ingredients and enjoy! 1 serving of vanilla brown rice protein powder – I use this one here.